A recent report found that drinking coffee can reduce your risk of crashing, but some believe that this sends a dangerous message to truck drivers. Previous studies have shown what everyone already knows - caffeine can make you more alert and keep you awake. However, it is also understood that caffeine can have a detrimental effect on both the quantity and quality of sleep. What this study shows, based on data provided by over 1000 participants, is that even accounting for sleep patterns and other factors, drivers who use caffeine to stay awake are 63 per cent less likely to crash than those who do not. Michael Kaine, the National Assistant Secretary of the Transport Workers' Union, says in an article issued on the union's website that this research is "focused on the symptom of the pressures in the industry, truck crashes, and not the root cause - the pressures on drivers." 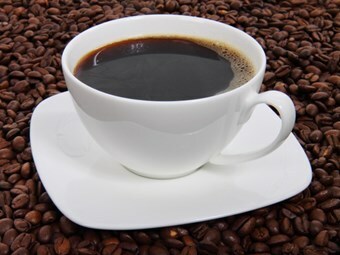 ""Another cup of coffee won't address the facts highlighted by a recent major survey of almost 1000 drivers that 40 per cent of truckers in the Coles supply chain have been forced to delay vehicle maintenance because of economic pressures and dangerously low rates of pay. Or the 46 per cent of drivers in the Coles supply chain who feel pressure to skip breaks and the 28 per cent who feel pressured to speed"
Lisa Sharwood, the lead author of the study from the University of Sydney, says that caffeine use "should be considered carefully in the context of a safe and healthy fatigue management strategy" and that "energy drinks and coffee certainly don't replace the need for sleep." The study, which was published in the British Medical Journal, concludes by noting that common sense practices of "having regular breaks, napping and appropriate work schedules" still apply, and are strongly recommended. Kaine says that "What's needed to address the crisis on our roads and in the trucking industry is a real commitment from Coles and others to take the pressure off truckies, not just another pot of coffee."